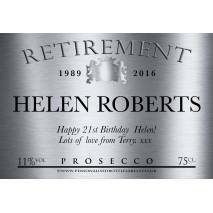 When you want to give a gift that will live long in the memory you just can’t do any better than your own Personalised Prosecco Labels. 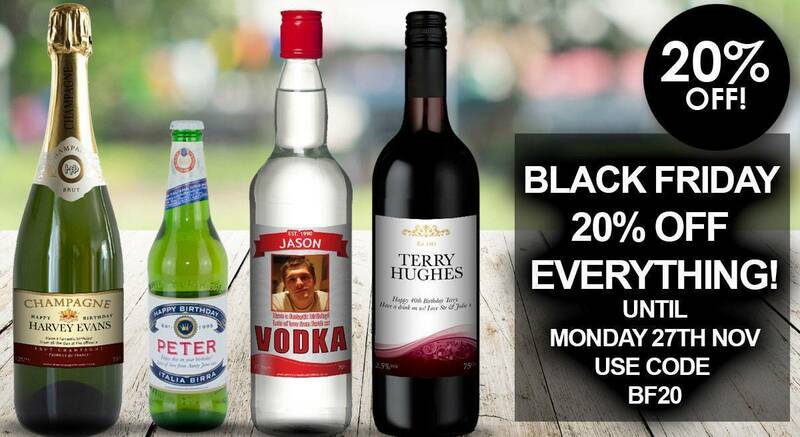 Choose your favourite tipple, add a little bit of character, and you have the recipe for the best gifts known to man! 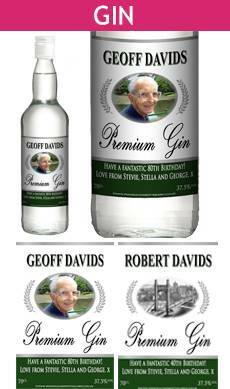 With our exclusive live label preview you can create anything you like and take a look at it in all its glory before it’s printed. Now what could be better than that? Perfect for making sure your photo looks amazing. 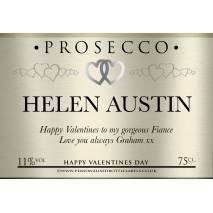 Take gifting to the next level with your very own Personalised Prosecco Labels. What’re you waiting for? 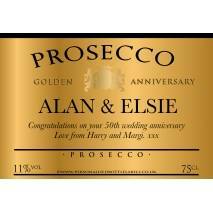 A huge range of high quality premium personalised labels to choose from. 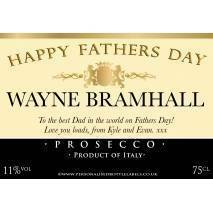 The labels are 'Self Adhesive' and easy to apply. 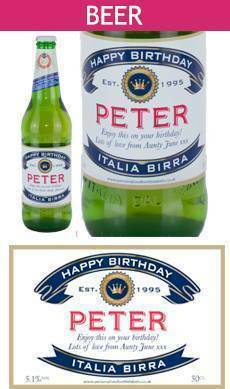 Simply remove the existing front label and affix your own personalised version. 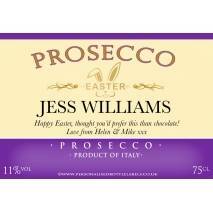 Please note - no Prosecco bottles are supplied with this gift. 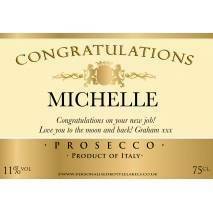 Our selection of personalised Prosecco labels turn your favourite bottle of Italian fizz into that perfect gift in seconds! 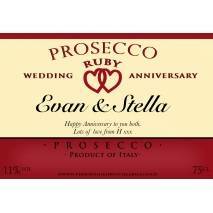 We have Prosecco labels suitable for Christmas, birthdays, anniversaries and a whole lot more! 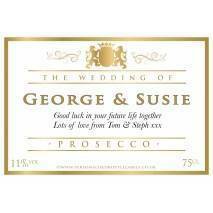 In addition most generic labels can be personalised for the occasion you choose. Once you’ve chosen your favourite label, simply add any name, message or photo using our online label designer - simple! 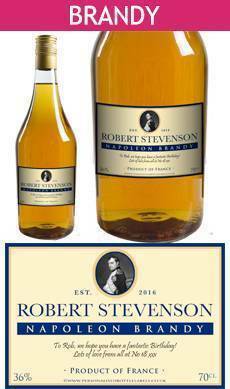 Happy with your label? 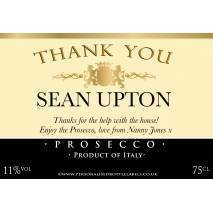 Click ‘add to cart’ and let the pros here at personalised bottle labels take care of the rest. 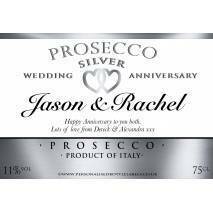 Whether it’s that intricate detail of shapes, lines or traditional traits, our Prosecco labels will compliment your personalisation and make a lovely Prosecco gift. 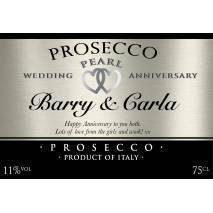 All our Prosecco labels are printed on high quality professional label printers and use scratch and water resistant labels. You’ve received your label. What next? 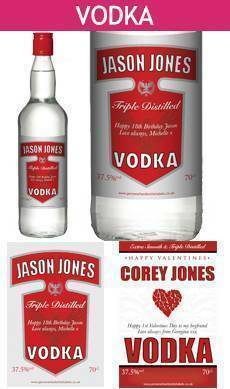 Our labels are sticky backed and are simply applied the over the bottles original label. 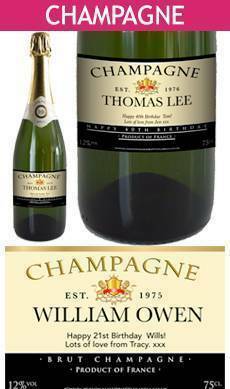 For a true professional finish we recommend removing the bottles original label. Not sure how to do this? 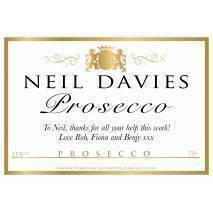 Check out our help guide here or let us do it for you via our own personalised Prosecco.